Buqqa Medtierranean Grill boasts a one-hundred-percent natural and original menu. First a successful food truck, this halal food staple has found an additional home as a stall at the popular downtown Santa Ana food hall, 4th Street Market. More About: Chef Tony Elmas …coming soon! Classic Halal Food made with 100% Natural, Locally Sourced Products. Buqqa’s original Mediterranean menu is prepared daily. All meats are locally sourced and seasoned with traditional, hand-prepared Mediterranean spice blends, imported directly from Turkey and Italy. They use a traditional Döner (Gyro) grill (a vertical rotisserie that turns and cooks the mea evenly, while the grease naturally drips off), to ensure the juiciest proteins for their items. Buqqa’s wraps, burgers and bountiful plates highlight these flavorful meats and local produce, along with housemade sauces and more. Angus Burger: angus patty, lettuce, tomato, grilled onions, pickles, American cheese, thousand island, garlic sauce. Chicken Gyro Pita: chicken, romaine lettuce, tomato, pickle, parsley, red onion, cheese, garlic sauce. Chef’s Special French Fries: fresh cut french fries, beef gyro, parsley, cheese, garlic sauce. Giant Kebab Plate: chicken kebab, shrimp skewer, beef and lamb. Grilled Vegetable Pita: seasonal grilled vegetables, cheese, garlic sauce. Gyro Burger: mixed beef and lamb patty, lettuce, tomato, pickles, provolone cheese, garlic sauce. 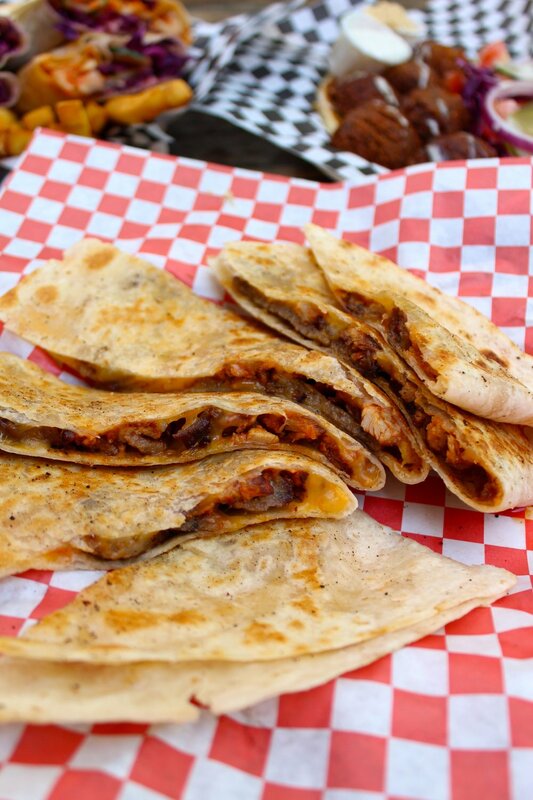 Lamb and Chicken Cheese Quesadilla: lamb and chicken, garlic sauce, spices, provolone cheese. Lamb Kebab Pita: lamb, romaine lettuce, tomato, pickle, parsley, red onion, cheese, garlic sauce. Sides: Buqqa salad, fresh cut french fries, homemade onion rings, hummus, stuffed grape leaves, potato salad, pita, macaroni salad, wings, and more. Desserts: (All Homemade) Crispy Baklava, Toasted Nutella, Italian Tiramisu. Established first in 1985 as mom-and-pop business, Mealtop has been serving traditional Korean shaved ice (Bingsoo) all over South Korea. By catching the attention of Hyundai (Korean automotive brand), and one of Korea’s most well-known food critics, Shin Ae Song, Mealtop quickly came into the national spotlight. With their help and dedication to their product, Mealtop has expanded to 20 locations over the last 34 years. Although the core of Mealtop is to conserve tradition, they acknowledge that in order to preserve culture, a coexistence between the history of the cuisine and the ever-changing modern trends is crucial. More About: Joon Hyun-Baek …coming soon! All of Mealtop’s Bingsoo variations include four classic ingredients: shaved ice, red beans, rice cake and condensed milk. The two pieces of rice cake are chewy and full of texture which makes the red bean desert full and complete. The Red Beans provide a traditional rich sweet flavor that can't be copied in any other way and the soft Shaved Ice provides a unique mouthfeel along with a milky flavor. The cast-iron braised sweet-but-savory red beans are the most important aspect, while the other three play equal parts in the taste of Korean tradition. Not only are Red Beans delicious, but they also offer numerous health benefits such as Vitamin B and E while having both the lowest fat content and highest protein content across all types of beans. They’re also said to help with preventing indigestion, maintaining blood sugar and more. All of the flavors come together in harmony and every ingredient is either made in-house using traditional techniques or locally sourced. In addition to the traditional shaved ice, the menu also highlights other shaved ice and desserts such as “rice cake” waffles and fresh fruit shaved ice. And, in recent years, Mealtop launched a new menu like Red Ginseng Bingsoo, Yogurt Bingsoo, O-gok Bingsoo where tradition and modern coexist. Monday - Sunday, 10:30 a.m. - 9:30 p.m.
Changing people’s lives with cookies. It might seem a little far fetched, but Juan Altamirano is doing just that with Nui Foods; he’s changing people’s lives with cookies. Nui was inspired by the ketogenic diet lifestyle, focusing on the consumption high fat and high protein foods, with very low amounts of carbohydrates and sugar. The team had nearly everything in order when it came to creating their meal plan for Nui Foods, but there was one very important item missing; cookies. From there, research and development began and the Nui Foods Keto Kookie was born. The first inspiration for the Keto Kookie began with Juan Altamirano’s love of baking. At the age of 8, Juan baked his very first cake and instantly found his passion. At 17 he enrolled in culinary school and specialized in baking and pastry making. Since then he’s been consistently moving up the culinary ladder throughout Orange County. From beach side resorts to hill top restaurants, he’s gathered experience and improved his craft. His pastry knowledge ranges from Latin, French, American, and Asian cultures, which eventually led him to Nui. With his passion and for baking and necessary understanding of scientific ratios to create something delicious AND healthy, Juan has been able to research and develop the Keto Kookie recipe, and turn it into the successful product that it is today. Juan joined forces with the founders of Nui Foods (Kristoffer Quiaoit and Victor Macias), and first started the development of the Keto Kookie product line within the walls of East End Kitchens located at 4th Street Market in downtown Santa Ana, California. From there, their team has accomplished quite a bit with the Keto Kookie, including features in OC Weekly, OC Register, Foodbeast and Baker’s Journal. Most notably, the Keto Kookie was featured on Shark Tank, taking sales to the next level; Nui Foods sold over $1.7 million worth of cookies in 2018 alone. Most importantly though, Juan and his team consider their biggest success to be that they are consistently impacting people’s lives for the better through this health-conscious product. 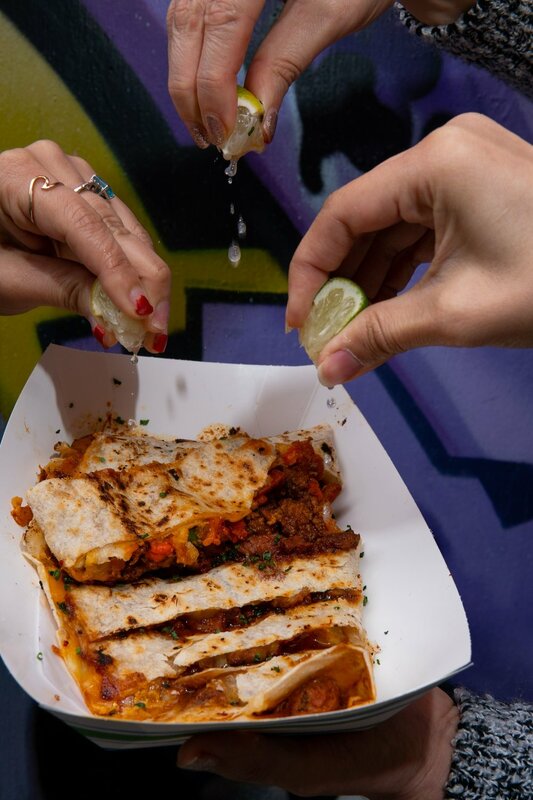 Traditional Mexican food is usually filled with the rich flavors of seasoned meat, lard-filled beans, and the creamy textures of cheese and sour cream; but, Loreta of La Vegana Mexicana is changing all this. Her mission: redefine what Mexican cuisine can be. La Vegana Mexicana is a homage to Loretas’s Mexican culture, with its menu using the same spices and ingredients you’d find in traditional Mexican cuisine. The catch: it’s completely vegan! Loreta first started experimenting with vegan Mexican cuisine with her daughter in mind. Her daughter became vegan when she was 18, and was always questioning why humans had to eat animal products. From there, Loreta was determined to curate recipes that her daughter would like, but would also keep her tastebuds satisfied and her belly full. With a lot of trial and error, Loreta discovered that many traditional Mexican dishes are plant-based and don’t require animal product. 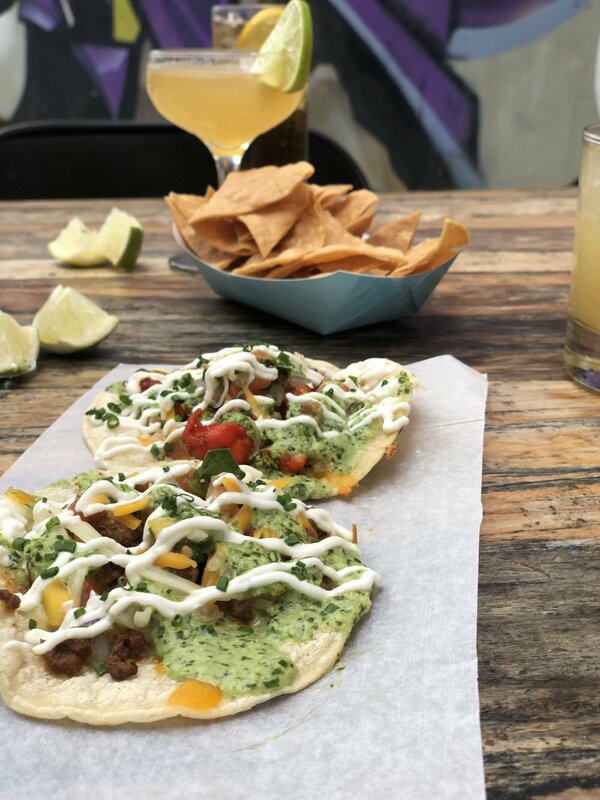 From there, an idea was born, and Loreta decided to kickstart her completely vegan menu, while staying true to traditional and culturally-appropriate Mexican cuisine. Enter: La Vegana Mexicana. As we all know, there needs to be a lot of grit and passion to keep a business afloat, and fortunately for Loreta and her two kids (also her business partners), there is a great deal of shared passion. This family is very excited to be creating vegan Mexican food for the Orange County community. What’s been extremely rewarding for La Vegana Mexicana is all the accolades they’ve received the last year for their concept. 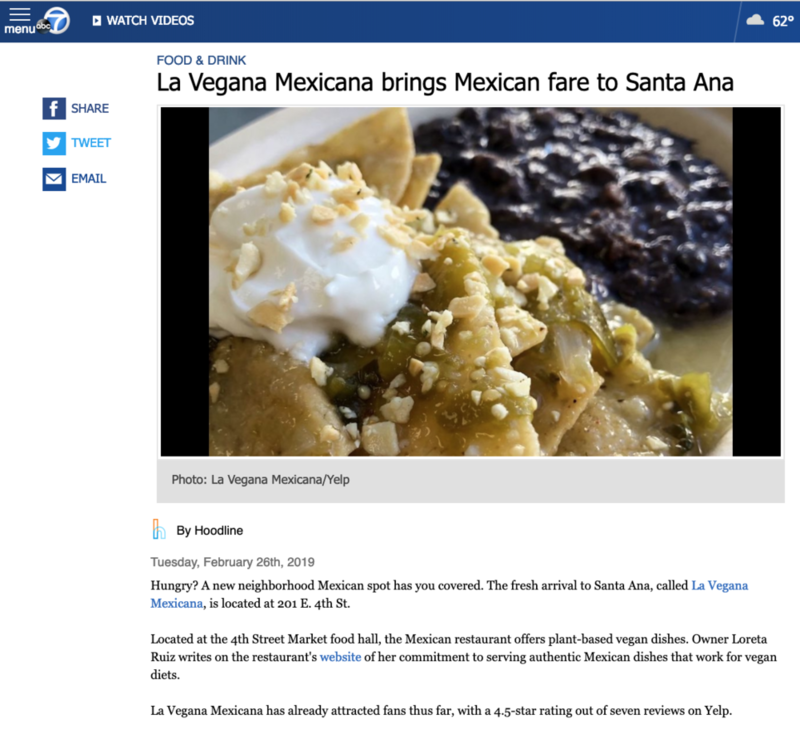 Publications like NPR, The LA Times, OC Weekly and Univision all have stated that it’s completely ‘out there’ to have vegan Mexican food, but, that there is also a real need for it. Vegans also want to eat delicious Mexican food after all, and many of said that La Vegana’s dishes taste ‘just like the real thing!’ without any of the animal products. And that’s La Vegana Mexicana’s main goal; to stay true to Mexican cuisine while being creative in sharing healthy, plant-based recipes. Loreta and her kids are thrilled to have a brick and mortar within Santa Ana’s food hall, 4th Street Market. Throughout 2018 they were frequent tenants of 4th Street Markets’ East End Kitchens facilities, and sold their tamales at Alta Baja Market. Now, they get to sell everything they’ve put their hearts and souls into at the market themselves. 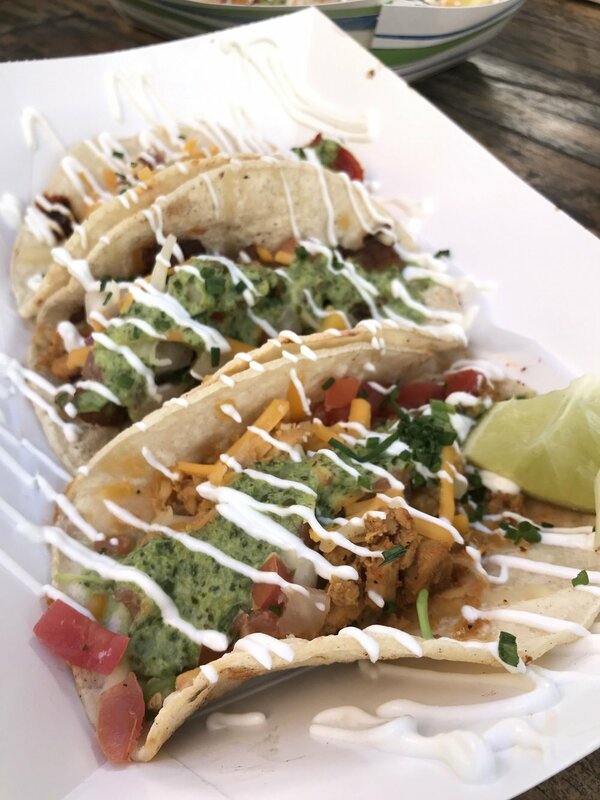 Look for healthy, plant-based, Mexican options at 4th Street Market, courtesy of La Vegana Mexicana. La Vegana Mexicana is a family-owned business offering authentic plant-based Mexican food. 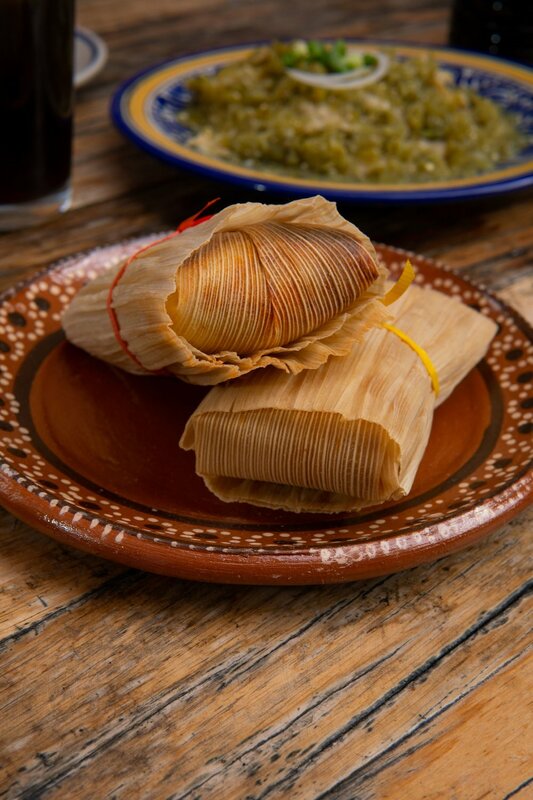 Known for their handmade signature tamales, La Vegana has been featured by NPR, LA Times, OC Weekly, Univision, and more. The'y’ve most recently found a home at 4th St Market, downtown Santa Ana’s popular food hall. Founder Loreta Ruiz converted to a vegan lifestyle years ago, but as a mother was worried that her children weren’t getting all the necessary nutrients eating just vegan. There began her journey into finding recipes that not only met the vegan requirements, but were also satisfying in terms of taste. 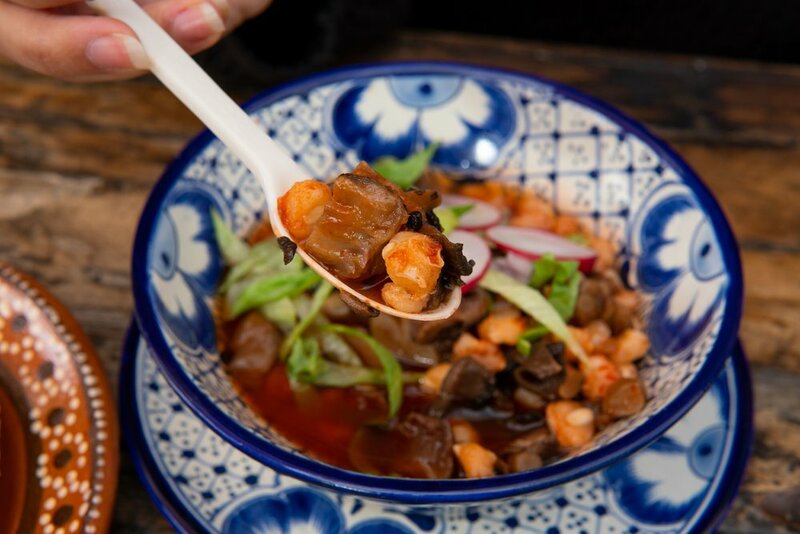 There are many Mexican dishes that are plant-based by nature or have no animal products, so from there Loreta and her team managed to achieve culturally appropriate dishes, each with a vegan twist. 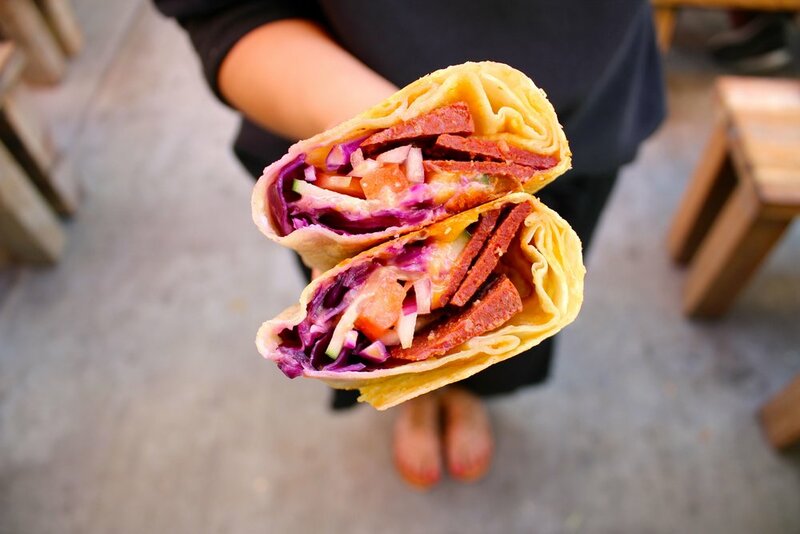 La Vegana Mexicana has brought traditional, healthy, plant-based Mexican food to the Orange County community. La Vegana Mexicana serves exclusively plant-based, traditional Mexican dishes. 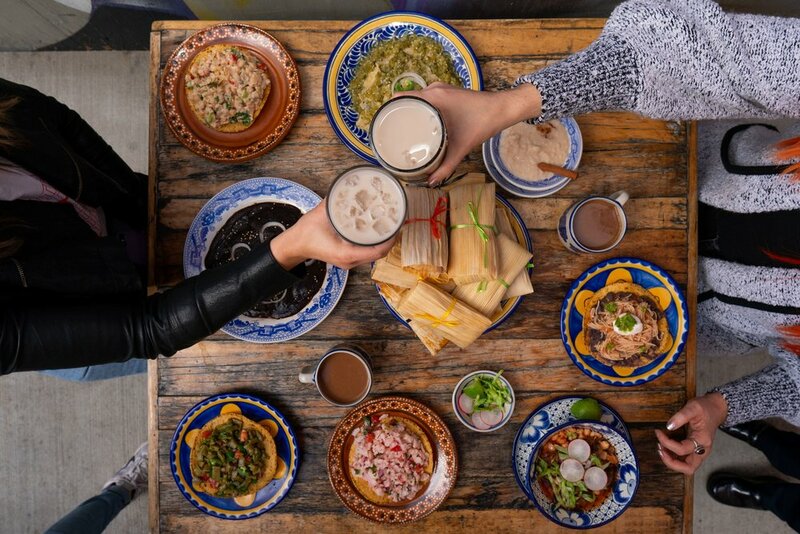 They are most known for their signature tamales (offering 16 different variations), but they also offer items such as vegan ceviche, vegan aguachile, tacos de canasta, pozole rojo, sopa de fideo, aguas frescas, café de olla lattes, and more. 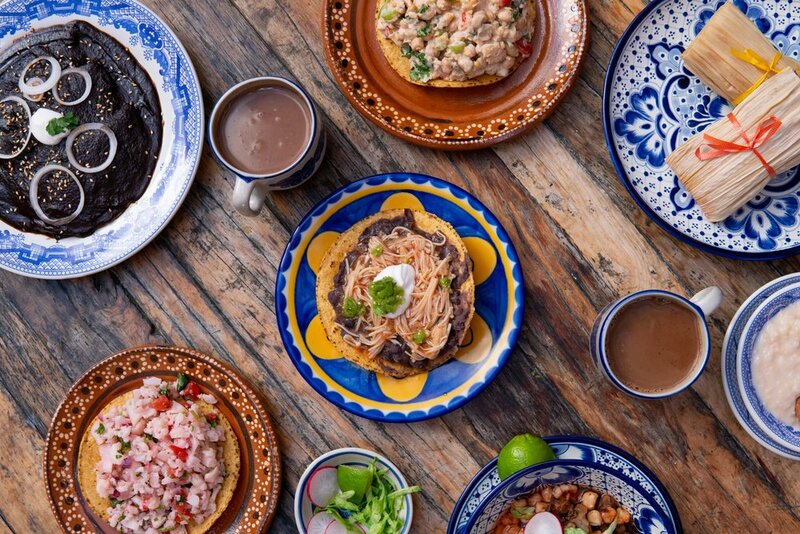 For their dishes, they find inspiration in the diversity that exists in traditional Mexican dishes and always on the search for new ingredients that add flavor, culture, and history to their food. And, while many of us think of fake meat when we think Vegan, La Vegana steers clear of these faux-proteins. 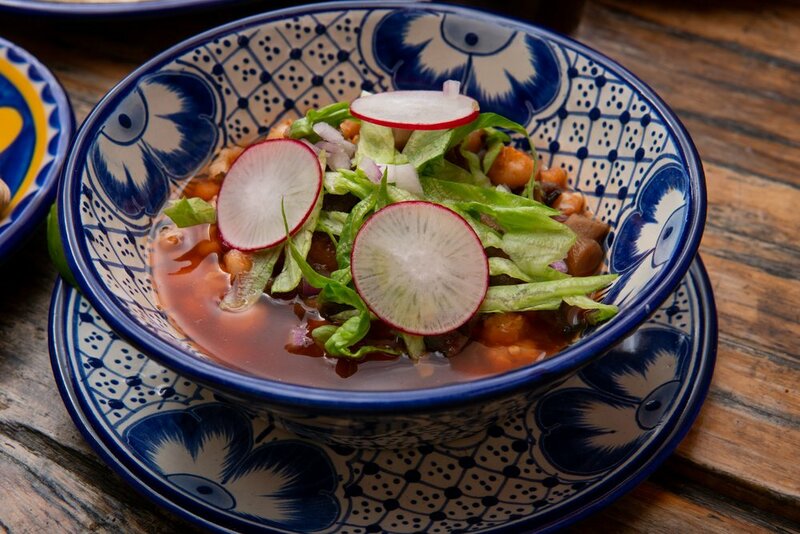 Their dishes emulate traditional Mexican food and taste without using any real meat, or processed mock-meats. Most importantly, there is no set menu at La Vegana Mexicana. Instead, their menu offerings rotate each weekend, keeping things seasonal, fresh and exciting. Other items such as enchiladas, nopales salad, entomatadas, pambazos, and additional traditional Mexican comfort food items are potentially on the horizon as well. From Jon Melendez, the owner of MAR (popular fresh seafood and poke concept at 4th St Market) comes Miel, a brand new build-your-own-açaí bowl and juice spot. Jon has always been extremely passionate about juices and utilizing fresh fruits in his menus, so this latest venture really hits home for him. Jump in to Miel and fill up on satisfying bowls and rotating aguas frescas! Miel offers an extremely customizable menu where visitors can build their own açaí bowls and snag fresh juices, often rotating based on the season. Owner Jon Melendez first started testing out healthier dessert options at home. By replacing frozen yogurt with açaí, and toppings like gummy bears with gogi berries and raisins, he saw an opportunity. Miel offers healthy options including vegan yogurt and pudding, at lest eight different kinds of fresh fruit, and several antioxidant options such as nuts and seeds, power foods like gogi berries and bee pollen, and more. The aguas frescas are graced with fresh fruit, with various rimmed cup options as well. Guests can select one of three sizes, and then pick their favorite additions as they move through the ordering process. 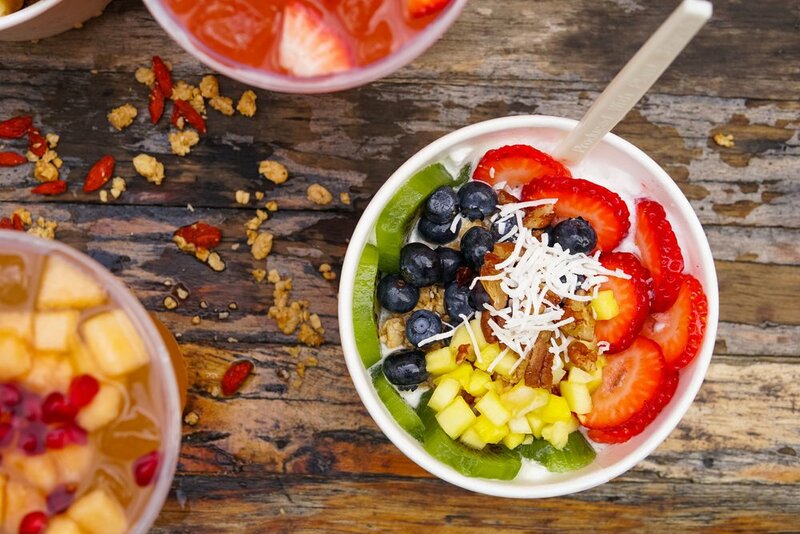 All of the bowls are açaí-based with a ton of topping options available, ranging from fresh fruit and granola, to seeds and honey. Abad Martinez, often referred to as an extremely humble chef, has accomplished plenty, but he isn’t anywhere near being done yet. From becoming a Chef de Cuisine at 24 to being featured on Food Network for a steak dish he created, Chef Abad is grateful for these experiences and accolades. He sees these accomplishments as simply notches on his culinary belt, which still has space for many more, perhaps even a Michelin star one day. Abad looks at the industry as not just a business, but as a lifestyle. Abad has always had an affinity for cooking; growing up in San Pedro and then later moving to Riverside at the age of six, he’d observe his dad in the kitchen and often help him create holiday dishes. There was always something to be celebrated at home growing up, and he took those opportunities to learn about food and make himself comfortable in the kitchen. Throughout the years he has learned even more from other talented chefs, such as Ben Martinek and Nick Wynn. He’s also picked up some tips and new methods along the way, including avoiding the waste of ingredients just to make a dish look pretty, but to actually give each ingredient a purpose. He also enjoys cooking with unfamiliar ingredients and studying uncommon flavor combinations and new cooking techniques. Most importantly, his methods are constantly evolving, because he believes that consistently learning is key to being a good chef. Abad is excited about his residency at Mesa and looks forward to bringing creative and inventive dishes to the Southern California culinary scene. He hopes to bring something big and memorable to Orange County’s thriving food atmosphere.